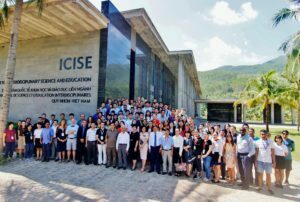 Prof. Trần Thanh Vân, founder of the ICISE Conference center recently talked with Việt Nam News reporter Hoàng Anh about the Science for development conference, one of the events that mark 25 years since the first meeting. He broke the ground in Vietnam 25 years ago, starting up the Rencontres du Vietnam events. Read why the most succesful events take place in Quy Nhon instead of big cities such Hanoi or Ho Chi Minh City.